The ICAA is pleased to present this tour of the beautiful palaces, villas, gardens, and archeological sites of Napoli and Puglia. The tour features a welcome luncheon at a private historic villa in Posillipo, Naples' exclusive residential neighborhood, hosted by a Neapolitan family. The home features an admirable museum-quality art collection, an enchanting "romantic garden," and a 6,000 square foot terrace offering spectacular views of the Bay of Naples. 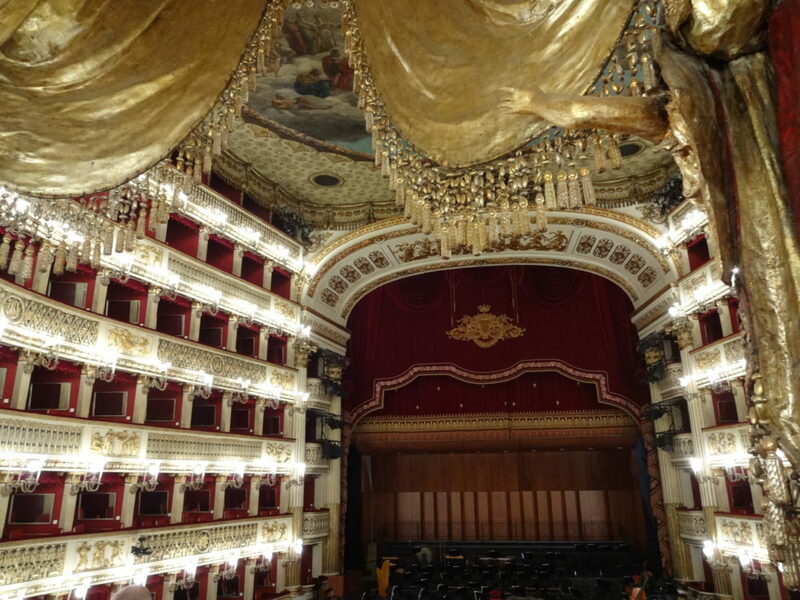 Participants will enjoy a special private visit and reception at the Teatro di San Carlo, welcomed by the Director. 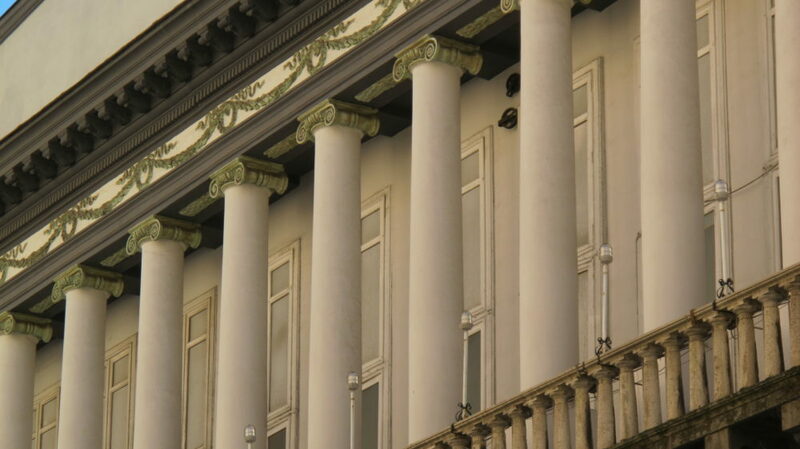 Inaugurated in 1737, the Teatro di San Carlo is the oldest, continuously active opera house in Europe, pre-dating both La Scala in Milan and Venice's La Fenice. The tour includes dinner welcomed by members of Italian society at their residence in Posillipo, the magnificent, historic Palazzo Donn'Anna, one of the oldest palaces in Naples, with spectacular views of the Amalfi Coast. The hosts are members of the National Board of Directors of the Associazione Dimore Storiche Italiane (ADSI). 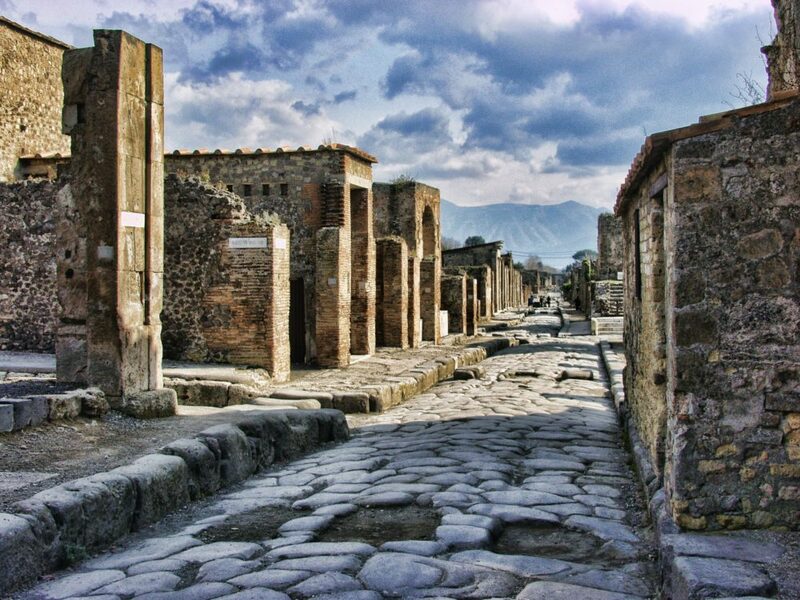 The group will enjoy a late afternoon tour of the exceptional historic site of Pompeii, a UNESCO World Heritage Site, including newly excavated and restored areas, the House of Golden Cupids, Villa dei Misteri, House of Jupiter, and the Enchanted Garden room, famous for their exquisite frescoes. 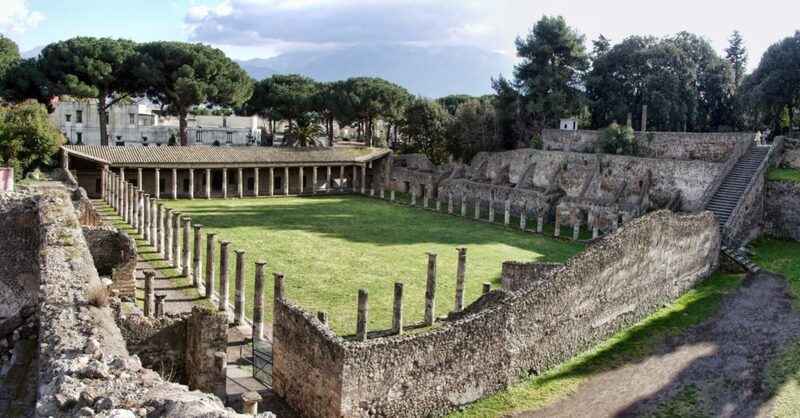 The tour includes a luncheon with the owners, a leading Neapolitan architect and a historian of Napoli, at their historic private villa in Caserta, Casa Mondo. 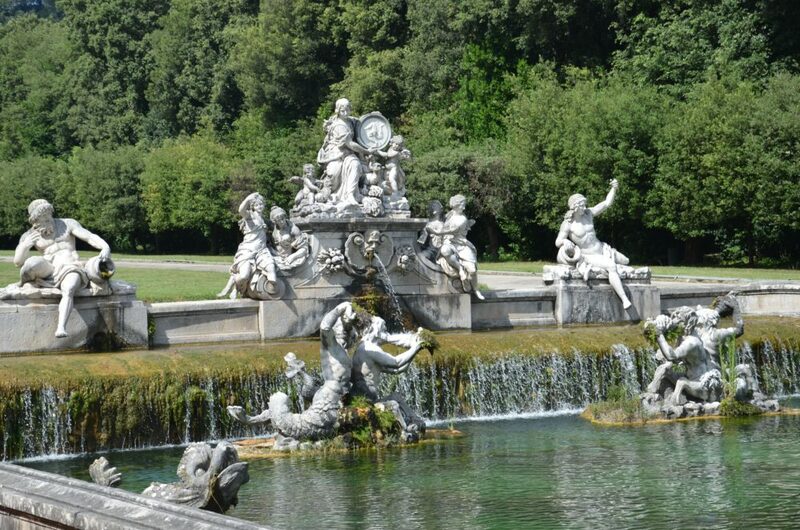 Casa Mondo is the former home of the Baroque artist Domenico Mondo, whose outstanding frescoes adorn the Royal Palace of Caserta and Casa Mondo. The tour includes a special visit to Matera's fascinating historic center, designated the 2019 European Capital of Culture, believed to be the third oldest city in the world, resembling ancient Jerusalem. The caves, the Sassi, have been in continuous use since the Paleolithic age. The dwellings and the churches built over the centuries into the caves are considered an outstanding example of human settlement and were granted UNESCO World Heritage Site status. Here, the group will be accompanied all day by Dottore Eugenio Martuscelli, President of ADSI Basilicata, and his wife, a descendant of Napoleon Bonaparte's brother. 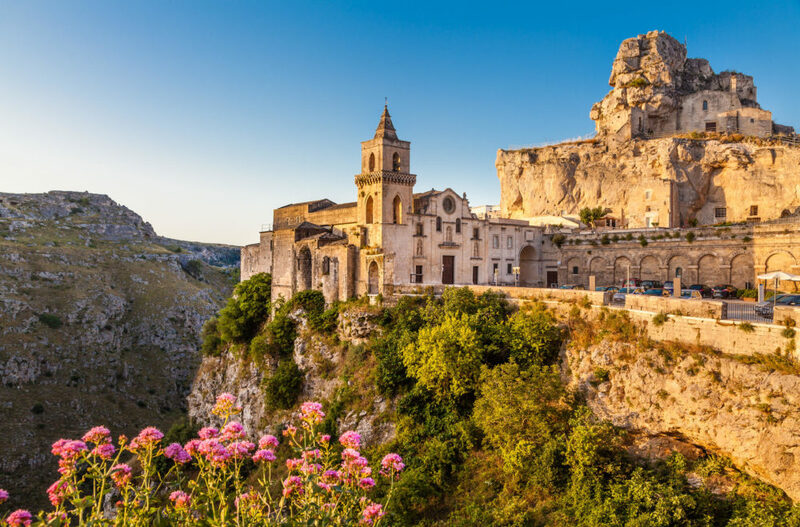 The tour includes a private visit and lunch at Palazzo Bernardini, in company of the owners, the President of ADSI Basilicata, and others who will welcome the group to Matera. The Palazzo became a stately home at the end of the 15th Century and is one of the most admirable noble residences in Matera. Featuring stunning views, the celebrated "Sassi" of Matera, Palazzo Bernardini is one of the rare examples in the Basilicata of a historic residence still belonging to an aristocratic family. 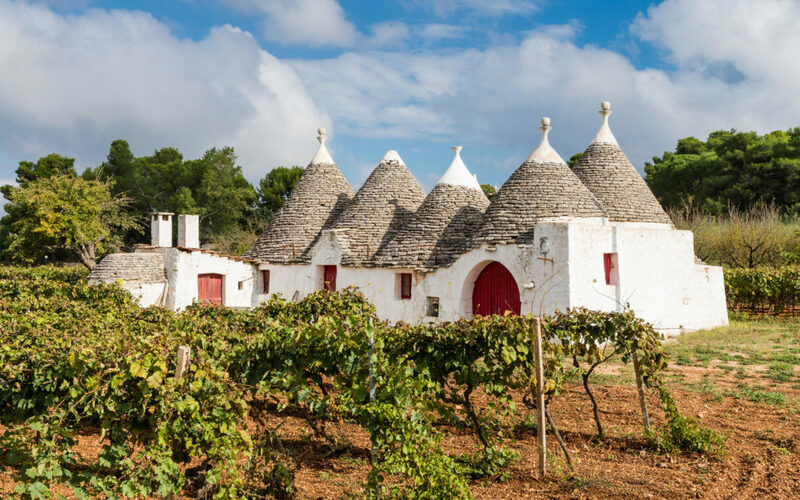 Featured on the tour is a luncheon with owners Avvocato Carlo Fumarola, Vice President of ADSI Puglia, and his wife Simonetta at their estate Masseria Tagliente. Built in 1849 and owned and preserved by the same family, this large, fortified estate-farm is an authentic agricultural masseria. It is architecturally one of the most beautiful and significant of its kind. 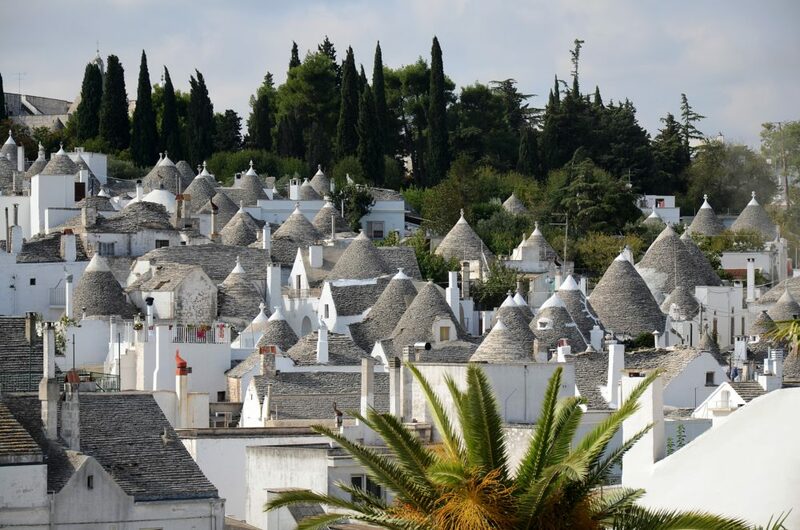 The stables, still used, are fine examples of vernacular architecture, covered with conical stone hats, called trulli. From the piano nobile, the group will enjoy magnificent views of the immense park. The tour includes a visit with Carlo Fumarola to Martina Franca, where whitewashed simplicity neighbors Baroque extravagance, and where the Neapolitan Caracciolo family shaped its history and architecture for centuries. The group will enter the old town center through a grand historic gateway, Porta di Santo Stefano, into Piazza Roma, with its impressive 17th Century Palazzo Ducale. The tour will continue through the narrow streets to Piazza Plebiscito, the heart of the town and stage for its masterpiece, the Basilica di San Martino. Participants will enjoy a private visit and refreshments at the Motolese Palace in Martina Franca, welcome by the owners Dr. and Mrs. Ettore Motolese. 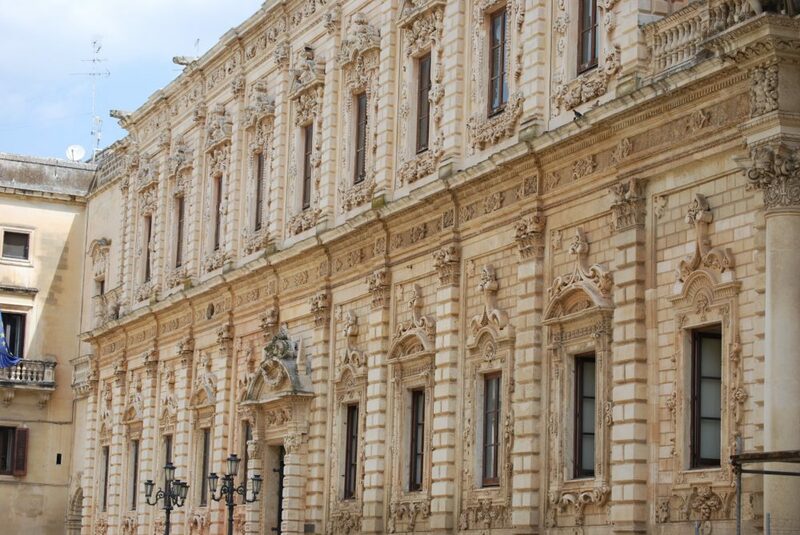 The facade of this ancient and noble palace is one of the most significant examples of Pugliese Baroque architecture. 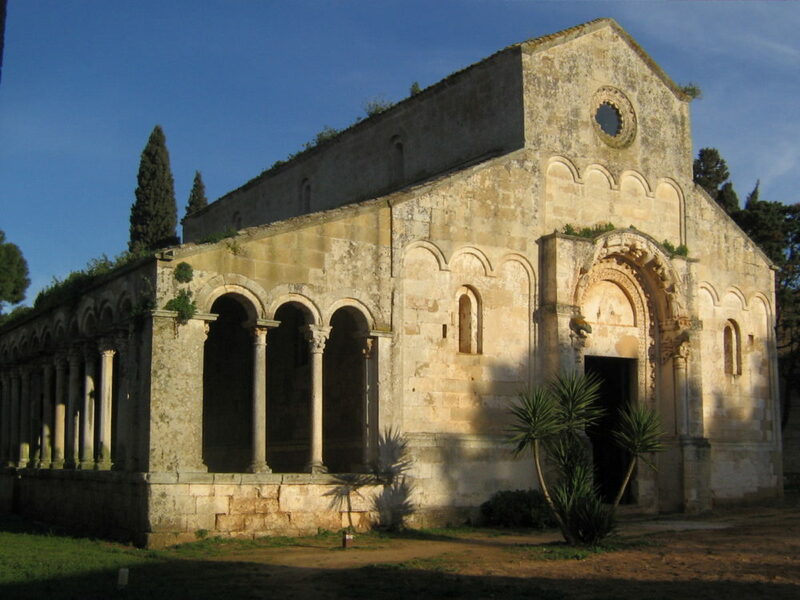 Included on the tour is a special visit to the town of Lecce with a prominent member of the cultural community. Called the "Florence of the south," the group will admire the town's exceptional Baroque treasures, churches, and palazzi built with the pietra leccese, the local stone with warm and golden colors. Architectural treasures from Ancient Roman ruins also reflect Lecce's rich history. Included on the tour is a private luncheon offered by guests of the tour's hosts, including former President of ADSI Puglia, at their historic, elegant palace, with sublime decor and a museum-quality collection of art, located in the ancient center of Lecce. The tour includes lunch at the Castello di Ugento with the owners, Massimo Fasanella d'Amore, former Pepsi CEO, and his partner Diana E. Bianchi. Built by Massimo d'Amore's ancestors, this 17th Century palazzo (with roots dating back to the Normans) was given new life in November 2017 after a $12 million restoration. Here, classes with acclaimed chef at the state-of-the-art cooking school are offered, while the museum wing showcases the Castello's 400-year-old frescoes, alongside recent works from a rotating cast of regional artists. Here, the group will enjoy the best in Puglian cuisine. At the conclusion of the tour, the group will enjoy a festive farewell dinner in southern Puglia, welcomed by the owners Gianluigi and Susanna di Sangiovanni, at their historic and remarkable Castello al Borgo, Palazzo Ducale di Alessano. Built in the late 15th Century, the residence features a typical austere Renaissance front and an impressive staircase, a perfect prelude to the magnificence of the interior rooms, decorated with refinement.